Out of the box, the Renegade is a basic revolver-type blaster with a short (and largely irrelevant, aside from aesthetics) barrel extension. 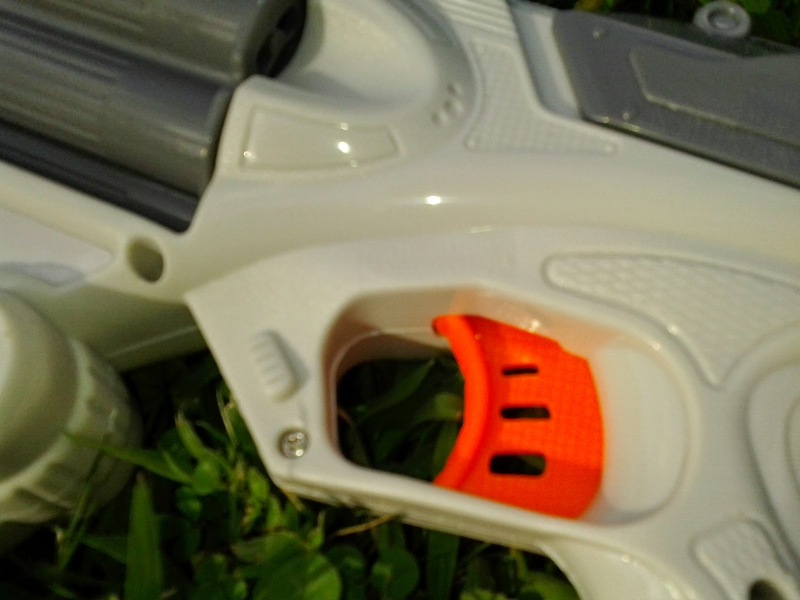 There are slots on either side of the blaster for front-loading. Turret rotation is linked to your trigger pull, so one only needs to pull the trigger to bring the next two chambers into position. 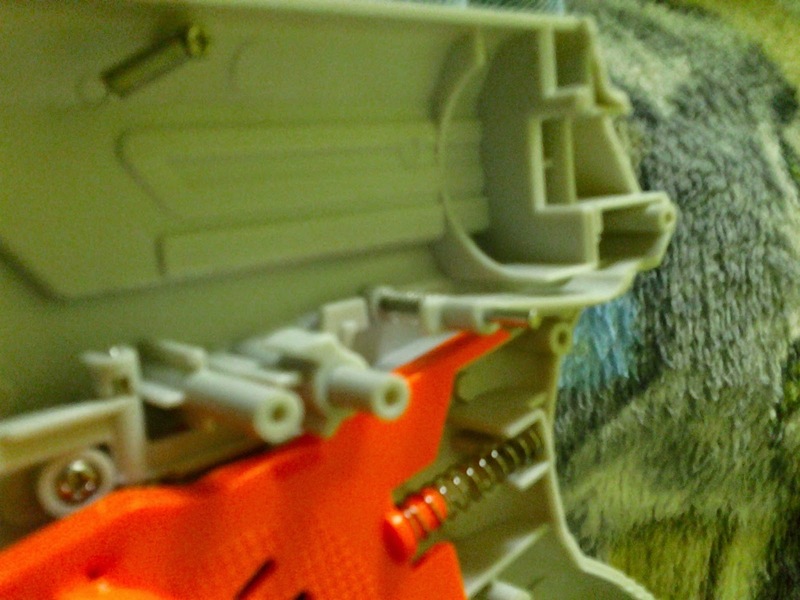 Admittedly, the blaster looks like it really wants rear-loading ports. I imagine this could be easily done! To prime, you simply pull on the slide and return, like you would a Maverick or Strongarm. 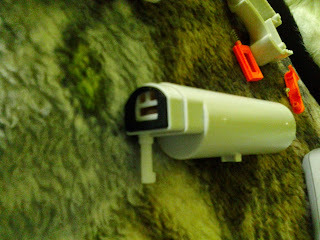 The plunger rod will protrude out the back when primed. Using the supplied darts, and firing about 50 test shots, I can confirm that the Renegade was averaging 75' in range, angled, with great consistency. You can get an extra 10' using Nerf Elite darts, BUT they have a slight problem in that they don't fit in the chambers! They're just a bit too long, and prevent the turret from rotating. I had to muzzle load each Elite dart I fired. This could be fixed with some shell work. Now for the dissection! 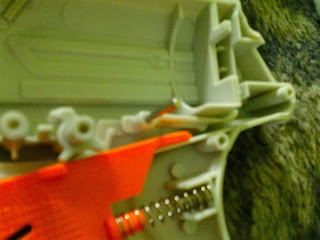 Quick thing to point out: that orange, spring-loaded tab in front of the turret is actually a necessary piece. It adds extra resistance so that the turret only turns one place in order to fire another dart. Without it there to hit the next dart, the turret will actually skip a chamber and make a 1/4 turn. A bit of a weakness in the design, it appears. Now for the power plant! It's a good-sized plunger tube, with more volume than the current N-Strike Elite blasters. 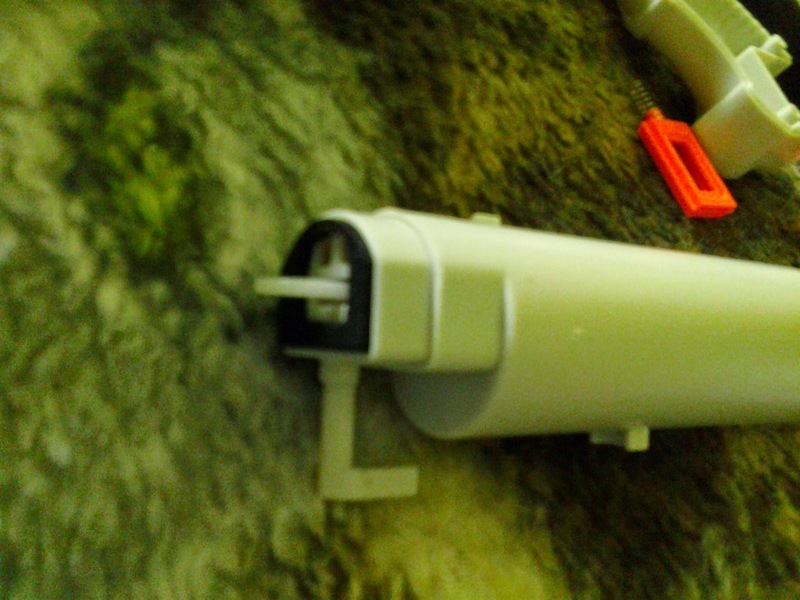 It also has a unique system combining the air restrictor and the safety switch. 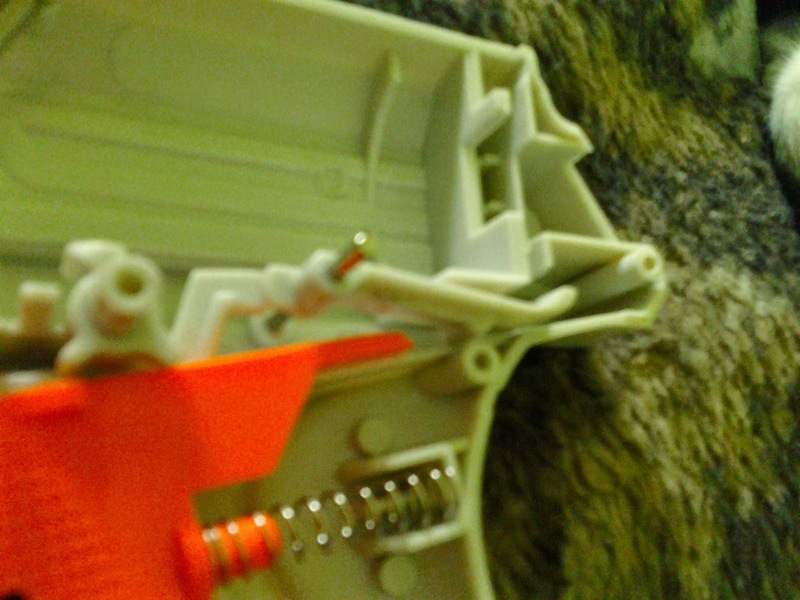 Below, you can see a spring-loaded lever between the trigger and the catch plate. The arm extending back from the mouth of the plunger tube? That's our special combo piece. When, and only when, a dart is lined up with the plunger tube, it pivots the restriction plate out of the way to allow airflow. At the same time, it pivots that plastic arm, moving the lever in the rear sideways to connect the trigger to the catch. This is all fine and dandy, but what if the dart isn't quite all the way into its chamber, or you're using shorter darts? In that case, you have a problem. Go ahead and take off most of the arm below the plunger tube, as shown. 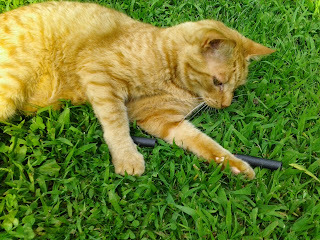 After that, you need a good pair of needle-nosed pliers. Reach into the plunger tube, and twist off the restriction plate. 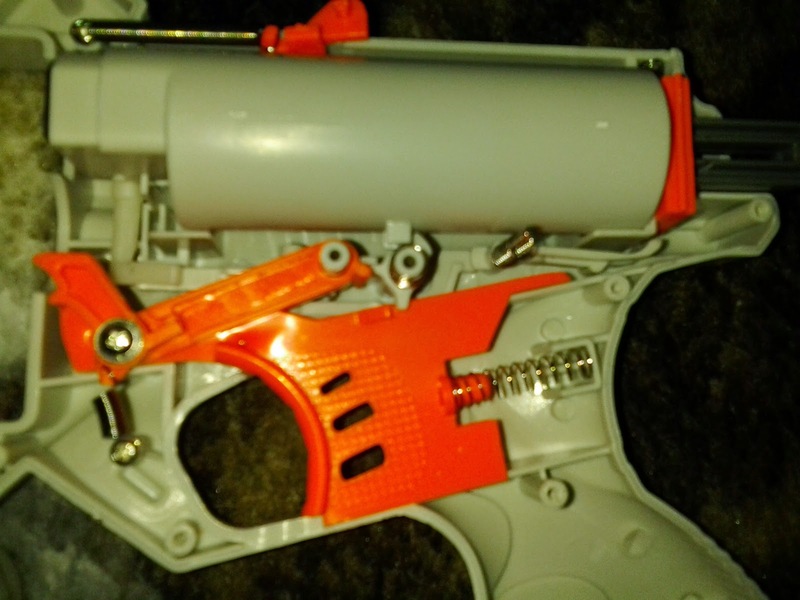 With the spring on the other side of the arm, the trigger and catch are now always linked. Of course, this does mean that you can dry-fire the blaster. But it makes operation in general much more consistent. 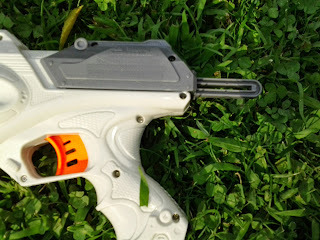 For its price point, the Air Zone Renegade is, in my opinion, the best revolver currently on store shelves. 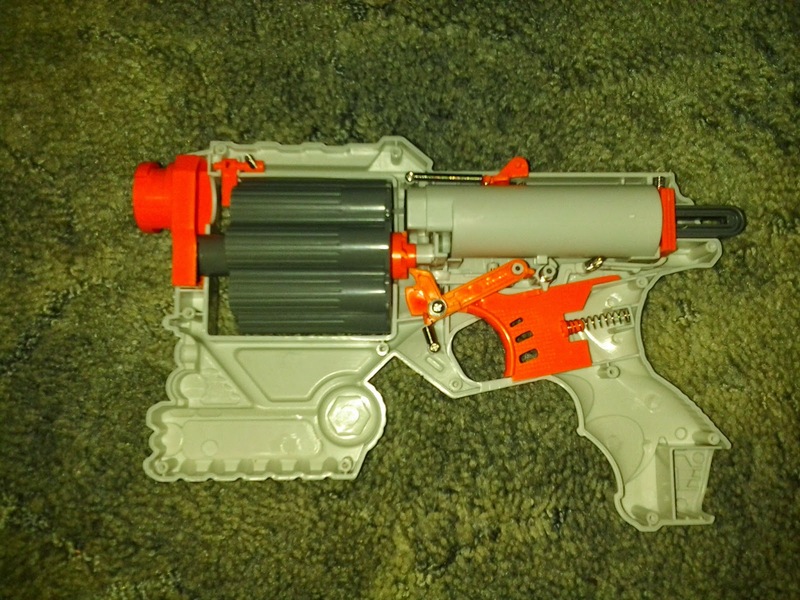 It not only performs well as is, but also with slight adjustments will outperform blasters like Nerf's Strongarm with ease. 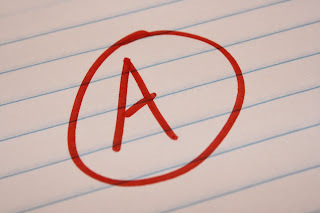 If you haven't bought one yet, do so now!